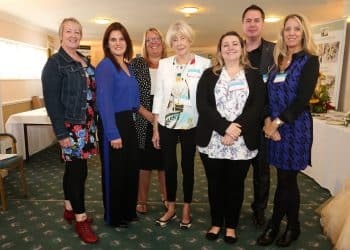 A popular Cirencester business networking group hit the airways when some of its members teamed up for a show broadcast on local Corinium Radio. Virginia Stourton, founder of the networking group Rekindle the Spirit, is also a director of the community radio station. During the group’s monthly meeting she donned her reporter’s hat and interviewed six business owners. She quizzed them on what inspired them to become entrepreneurs and turn their backs on life as employees. Magician Richard Parsons said he’d gradually switched from running another business to becoming a fulltime magician. Photographer Lis McDermott, of Headshot Diva, has a background in education but turned her passion for photography into a business. Also interviewed were Ellen Roome, of The Finance Roome; Toni Ryder, of Not Just Bouquets and Lindsey Green, of Hot In Glos.